This year 912 applications reached us from 65 countries. Professor Hans Stofer, the Head of Jewellery at the Royal College of Art of London, from 2006-2017 and now Head of Jewellery at the Burg Giebichenstein, Kunsthochschule Halle selected 65 artists from 21 countris. 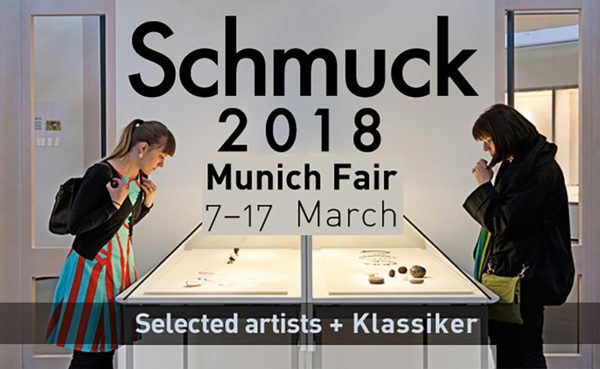 Schmuck is a special show of the International Trade Fair for the skilled trades taking place in Munich in March each year since 1959. Jewellery art reflects its day and age. Artists may refer to a political or social background, they may ve rooted in fashion or arts. Challenging different thresholds 5 Argentine Jewellers, question what seems to be accepted as the finitude, the solidity of the matter, the beliefs or the expected denouement of a story. Carolina Bernachea, “Bicephalas”: Two points of view united by subtle threads. A tunnel we are reluctant to enter whose process compresses us, renders us defenseless. With Luz Arias, Cecilia Capisano, Mercedes Castro Corbat, Micaela Mornaghi. 8-10 March, 2018. Munich Jewellery Week. 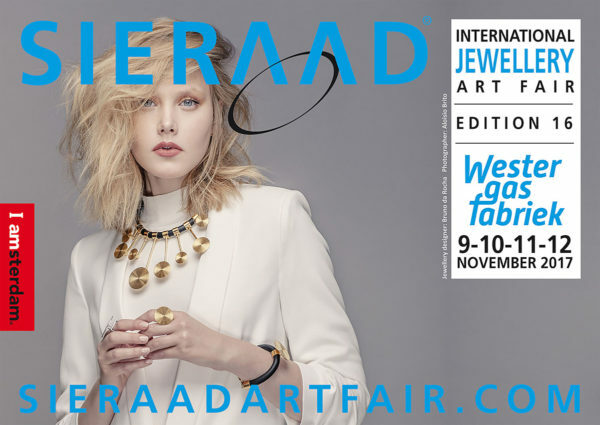 Is a Contemporary Argentine Jewellery Collection, that will exhibit in Europe. Consists of pieces made entirely, or in large part, in RED and / or BLACK, from 20 designers. 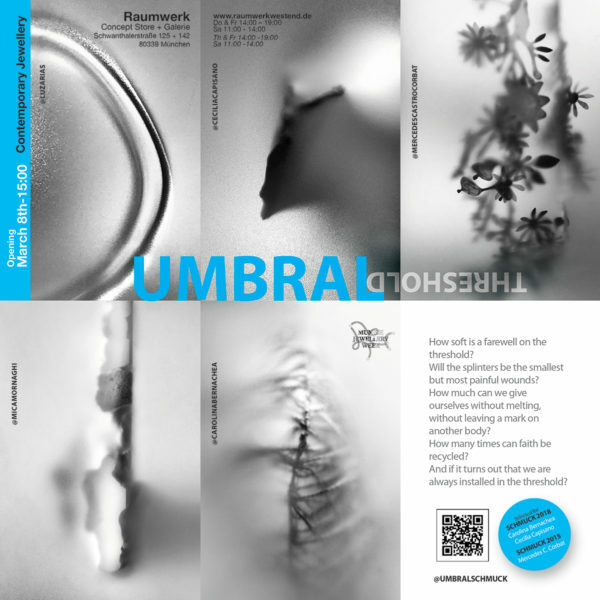 One of its objectives is to highlighting the interaction of the dialogue with any material and also an invitation to rethink the diversity -and validity- of the perception. Two colors as a justification to play with and highlight other characteristics of the materials as the shine and the opacity, the roughness and the smoothness, the reflection of the light on the different materials and surfaces. The Argentinian Luz Arias and Carolina Bernachea, with Nina Lima from Brazil and the Uruguayan María Eugenia Muñoz, present the Contemporary Jewellery exhibition “From South America”. 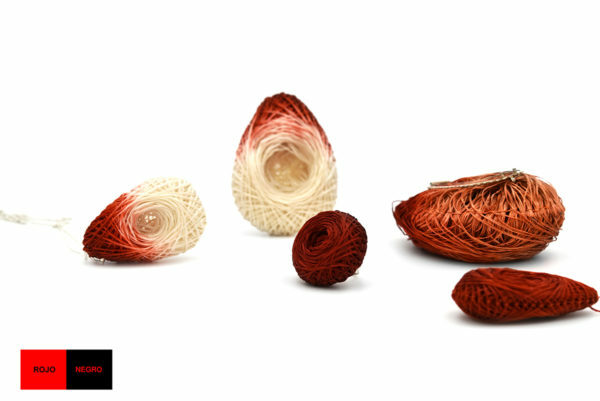 Carolina Bernachea exhibits Spores, silk fibers that spread through space, creating balanced patterns.